tickets can be booked for the musical of “Het EI van OOM TROTTER”, by TeamJacques, the Bruges Theater organisation. Marc and Gino Marchal know where the panel of the Just Judges is hidden! Come here to know everything and much more about the stolen painting and read the new new book: DE VEERTIENDE BRIEF (The Fourteenth Letter). 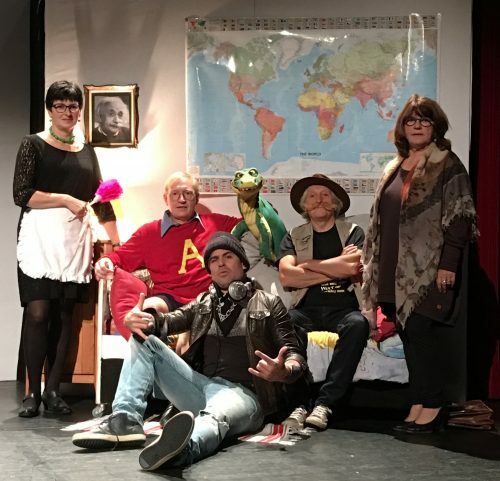 THEATER play of HET EI VAN OOM TROTTER gets a lot of praise! This performance for family or primary school can be booked at ACABOE. Marc is currently working on a new BREATHTAKING book. The new, completely rewritten version of HET EI VAN OOM TROTTER is now in the bookstore! Municipality crowns Marc de Bel as Honorary Citizen. 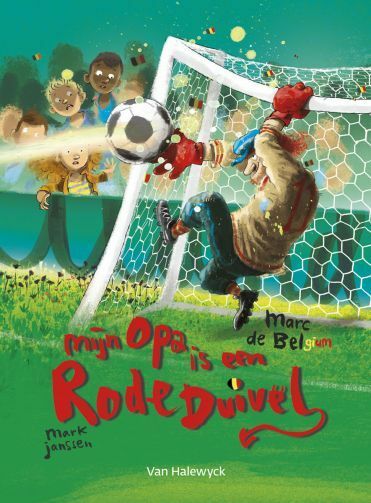 Juvenile author Marc de Bel is known for his Boeboeks books. 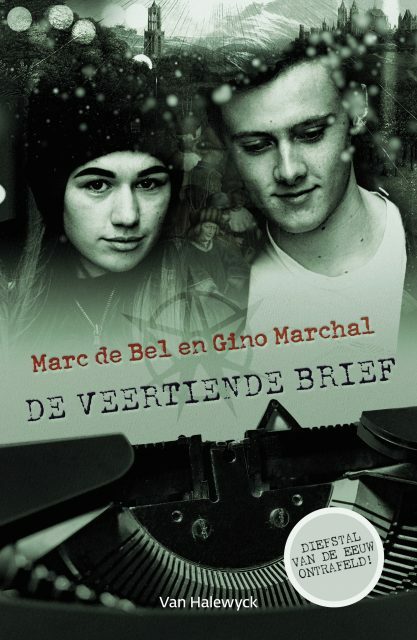 Youth author Marc de Bel (63) receives the title of honorary citizen in his municipality of Kruishoutem. “Our best-known resident celebrates thirty years of authorship, so this is the ideal opportunity to laure him,” says Mayor Joop Verzele. METTE has been nominated for the Thea Beckman Prize 2017. At the New Year’s reception in the Ghent government, every year the most deserving East Flemish are honored according to good practice. This year this honor came to Marc. Youth author Marc de Bel happily surprised with a celebration for thirty years of writing. The reunion of the 1985 class was the biggest surprise of the evening for Marc de Bel. Photo: pdv. Marc de Bel was celebrated in cultural center De Mastbloem for his thirty-year writing career. The city council used the jubilee party to proclaim the Kruishoutem successful author an honorary citizen. LONG NOT FOR PENSION! Definitely read this Dutch article ! In the autumn, Theater CREAFANT will be presenting the book THE DREAM CLEANER OF GRANDPA PLUIZEBOL in many cultural centers in Flanders. Ask the person in charge of the cultural center in your area to book the show too soon! For children aged 6 to 10 and their parents and grandparents. More info can be found on the website of CREAFANT. If you are not familiar with Marc see this. ULE awarded the Kleine Cervantes !!! 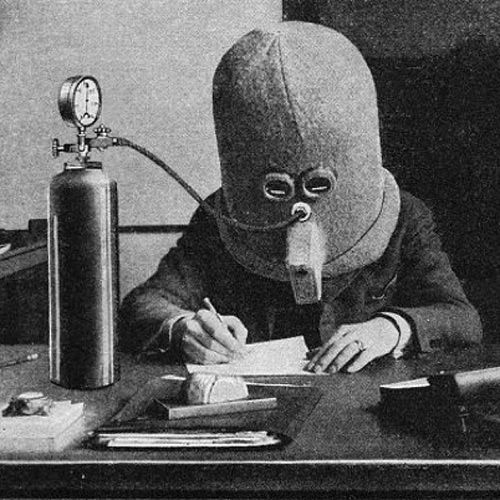 ULE, I was fourteen in 1914 was awarded the prestigious children’s literature prize of the city of Ghent. Hundreds of teenagers chose ULE as their favorite book and stormed the author after the award to have their book signed.ULE bekroond met de Kleine Cervantes!!! ULE, ik was veertien in 1914 is bekroond met de prestigieuze jeugdliteratuurprijs van de stad Gent. 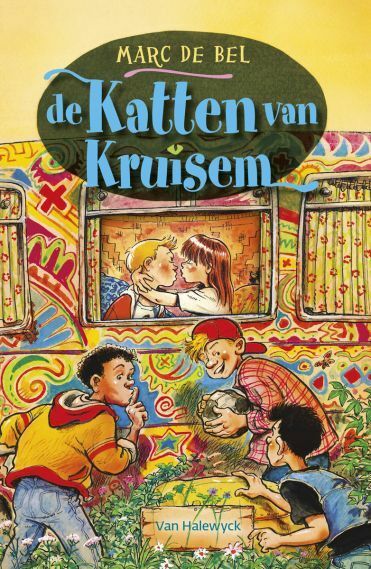 Honderden tieners kozen ULE als hun lievelingsboek en bestormden de auteur na de bekroning om hun boek te laten signeren.